The Institute for Korean Studies at the George Washington University and Indiana University Bloomington invite students to apply for the first annual GW-IU Undergraduate Research Exchange Program. We are seeking to select students who are interested in conducting research about Korea. All students receive mentoring from faculty at the Institute for Korean Studies. 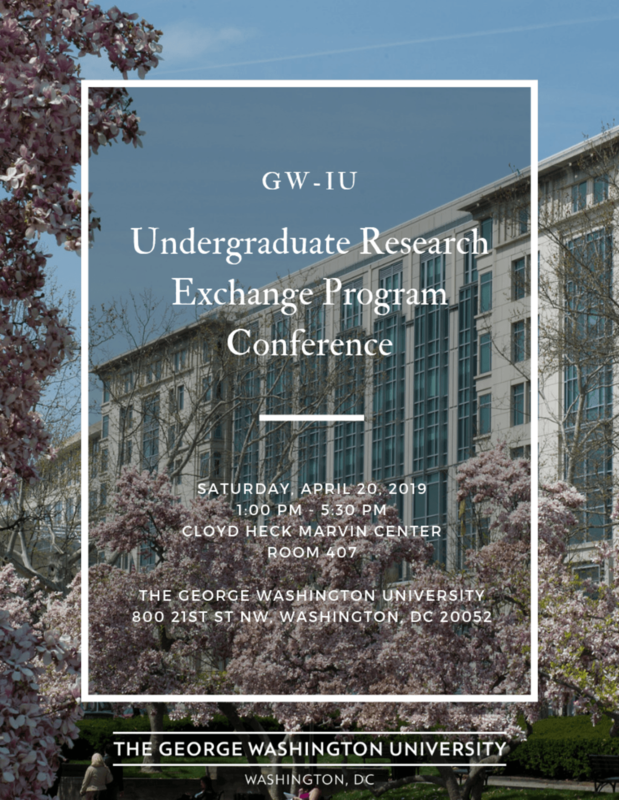 Selected students participate in research workshops during the fall and spring semesters, take part in a mini-conference, and present their papers at the annual GW-IU Korean Studies Undergraduate Research Exchange Conference in the spring semester. The conference alternates locations between Washington, DC, and Bloomington, IN. Welcome to Participate as an Audience in the Conference! Produce a 15-20 page research paper on any Korea-related research topic such as politics, inter-Korean affairs, literature, film, K-pop, history, sociology, anthropology and more!